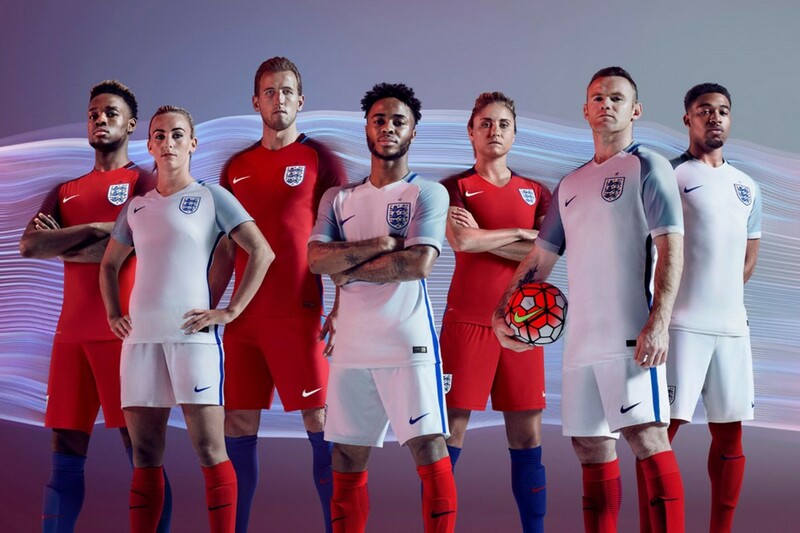 Nike pulled back the veil on the new England Kit for Euro 2016, the kit that the Three Lions will wear this summer. 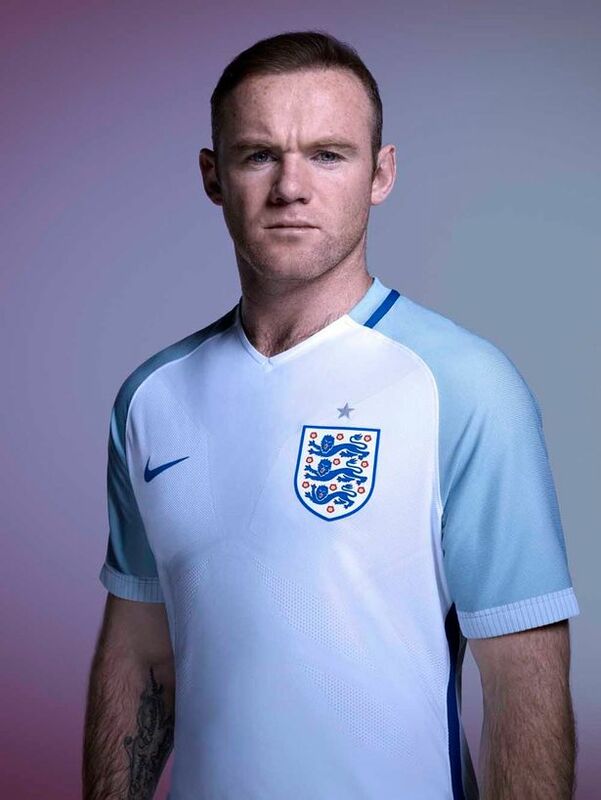 The new England 2016 home shirt is of course white, but the sleeves which begin at the neckline are light blue. 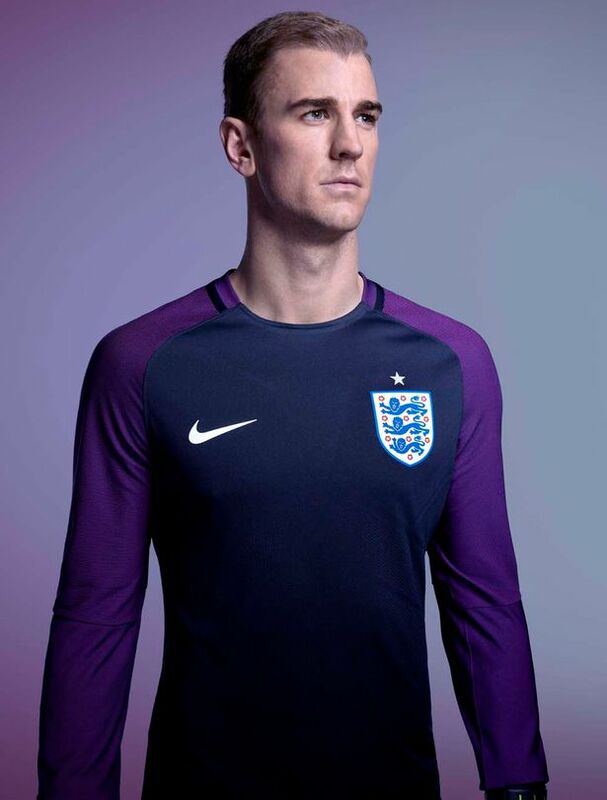 From a distance the sleeves look a solid colour but they are actually made up of thin white lines. 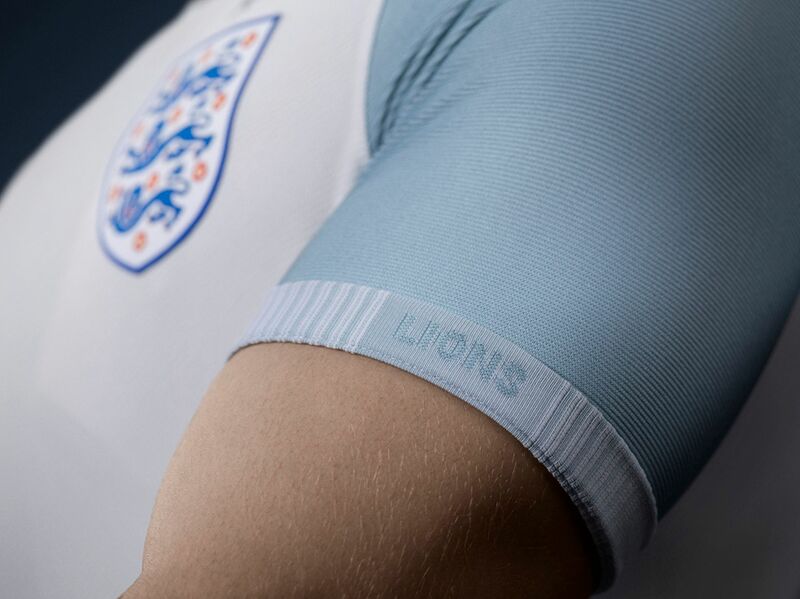 There’s nice detail on the sleeve cuff’s where the word ‘three’ and ‘lions’ is stitched onto opposite arms. 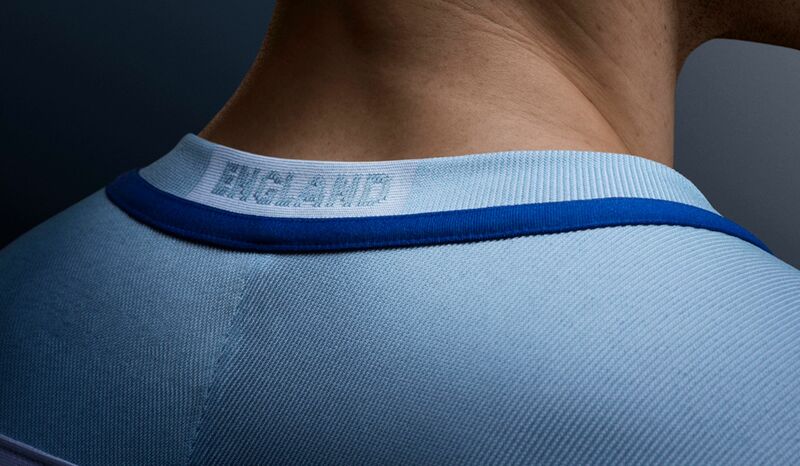 Similarly to the shirt cuff, on the back of the neck ‘England is stitched into the collar. 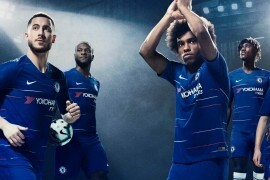 A navy stripe runs under the sleeves and down the sides of the football shirt connecting with the shorts and the trim around the neck is also matching in navy. 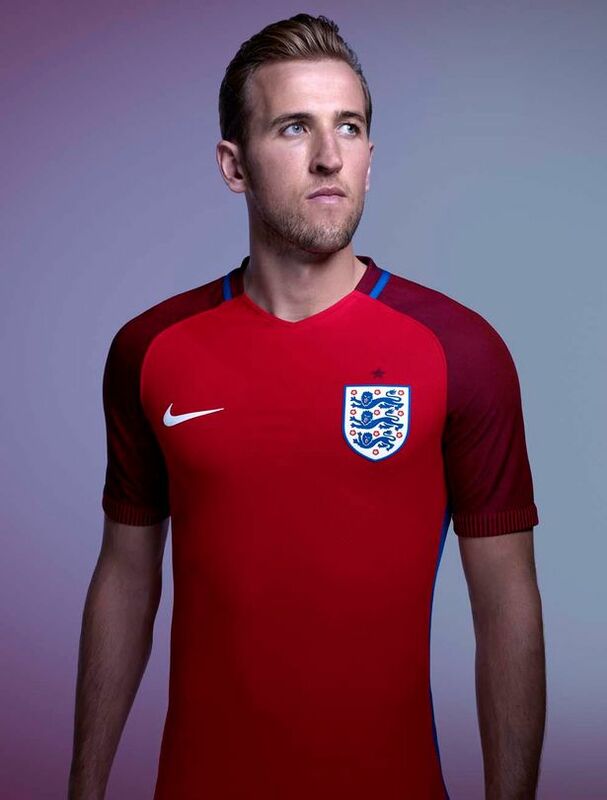 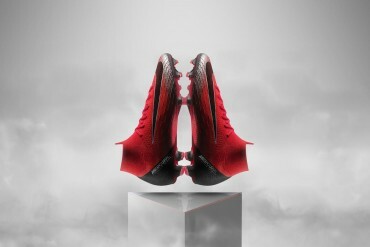 The Three Lions badge is placed on the left breast with a navy Nike Swoosh on the right. 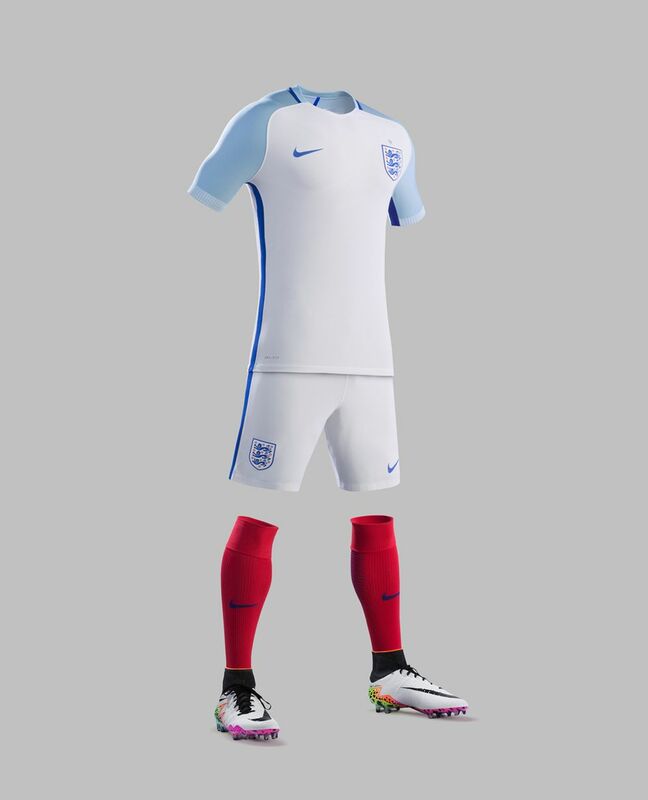 England’s new home kit 2016 is completed with white shorts with the navy stripe down each side and stand out red socks. 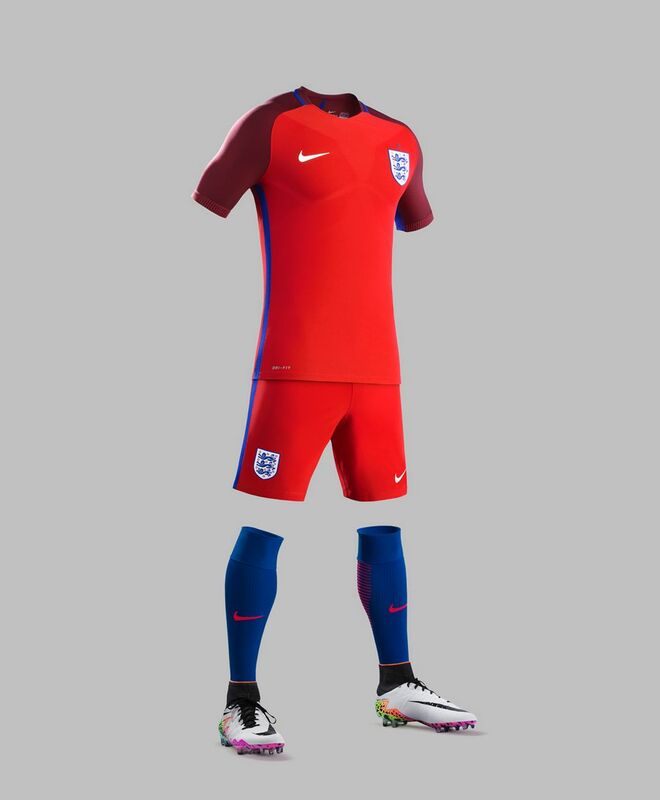 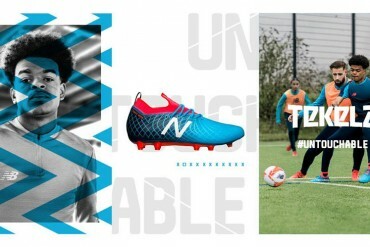 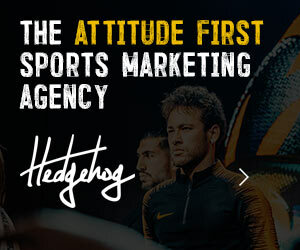 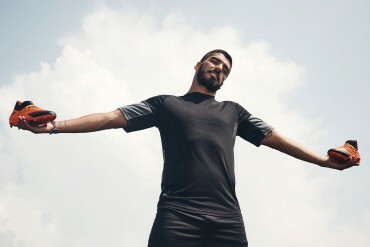 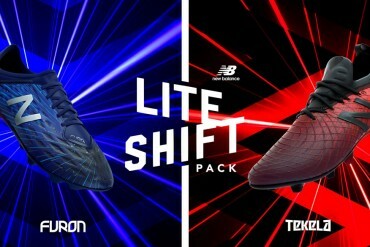 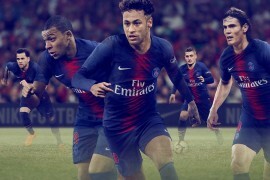 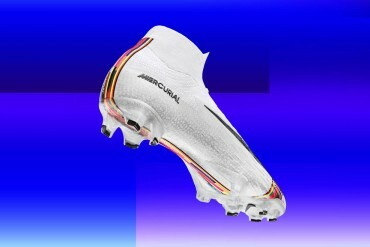 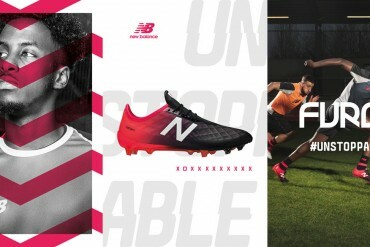 In terms of new technology, England’s Nike Vapor kits are 10% lighter, boast 50% more stretch, wick sweat 20% quicker and dry 25% faster than Nike’s most recent football kits. 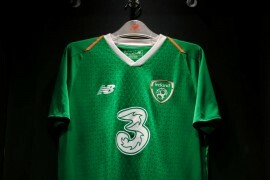 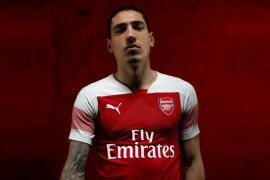 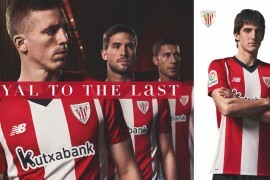 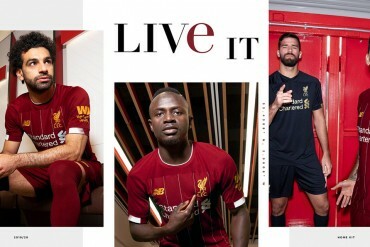 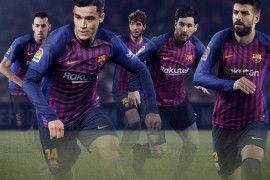 The away shirt is based on the same design as the home one with the V neck and panelled sleeves. 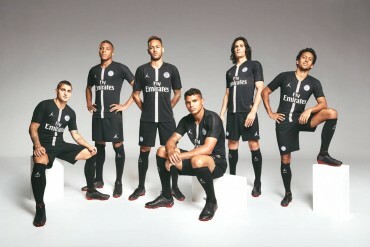 The shorts are red again with a blue stripe down the side, the socks once again contrast in blue.